The one aspect which makes training martial arts truly special is that there are so many reasons as to why people train martial arts and each of them are special to that person. 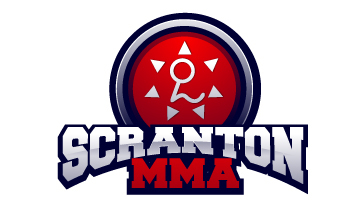 Some people train for the physical level, Martial arts is a great, fun, way to get in awesome shape, some an emotional level, training can be a fantastic stress relief, others a social level, Scranton MMA is a great place to make new friends and I have even heard some people say a spiritual level, they like the feeling they get after a hard work out.. like I said none of them wrong.. each uniquely personal. 1. 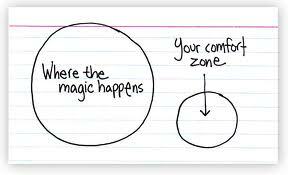 Gets you out of your comfort zone– there is probably a thousand different things I could say on this topic and actually a series of different blogs I can write but for now I’ll try to keep it short and sweet, sometimes people get comfortable being “Academy Champion” tapping or beating the same people over and over and competing forces you to deal with people of different sizes body types than your used to and will probably cause you to re-evaluate your “game” more often than not. 2. Develops self confidence again, another area where I could write a series of blogs on just this topic alone but the bottom line is this I’ve been on the mat with some of the toughest dudes in this country and other countries, guys at the top of my weight class.. sometimes I did good, sometimes I didn’t do so good, but I survived and if I can do that in the competition arena…what is sending an email at work going to scare me? Competition helps to develop the tools to handle situations head on. 3. Most realistic test of your self-defense abilities– self-defense is a huge part of what we teach here at Scranton MMA and its awesome. Everyone should know how to defend themselves if a situation were to arise but how do you train for situations like that? Sure you can drill and things of that nature but after a while you and your partners start getting comfortable with each others patterns and it becomes less realistic. You could pick a fight which I DO NOT recommend for a variety of different reasons chief among them A). you look like a jerk and a bully and B) if your self defense skills aren’t up to par it could be a really bad day for you. So compete. Test your skills. After all what is competition? it is defending against an attacker who is trying to get you to do something you do not want to do. Very similar to a street fight except for rules and time limits. There are a thousand more benefits to competition but these are 3 key ones that can help to enhance your training as well as enrich your life. As I said, if you don’t wish to compete that’s 100% cool but it is definitely an experience I encourage everyone to have at least once and if you’re interested in competition ask one of the instructors and we will get you on your way!